Google suffered a disruption to its widely used Hangouts chat service Monday morning, the second time in less than two months the Web giant&apos;s popular email and instant-messaging offering has crashed. Users began to notice issues with Google Hangouts just after 9 a.m. Pacific time, and by 9:30 Google had listed Google Talk and Google Hangouts as suffering "Service disruptions" on its Apps Status Dashboard, a lesser categorization than "Service outages." Some users said Drive, Google&apos;s cloud storage and office-applications suite, was also offline, but Google added only one component of that offering  Sheets, its spreadsheet service  to the list of affected services. Google webmail offering Gmail and its Google+ social network, the main homes for Hangouts, went down on Jan. 24. Google said later that most users were affected for less than 30 minutes in that outage, while about 10 percent were without access for almost an hour. In a blog post after the outage was resolved, Google engineering executive said that an internal process had hit a bug, causing an "incorrect configuration" to spiral across its network. "The issue has been resolved, and we&apos;re now focused on correcting the bug that caused the outage, as well as putting more checks and monitors in place to ensure that this kind of problem doesn&apos;t happen again," Traynor wrote later the same day as that outage. Google declined requests for additional comment, directing media to follow updates on the Apps Services Dashboard. Google has been building up its professional offerings to challenge Microsoft&apos;s dominant enterprise offering of the Office productivity tools and Outlook email program, offering paid versions of its free Web-based suite to corporations. Google&apos;s non-advertising revenues more than doubled in 2013, from $2.35 billion to $4.97 billion, but attributed that growth in its annual report to sales of digital content through its Google Play store and direct sales of hardware products such as Nexus tablets and Chromebooks. 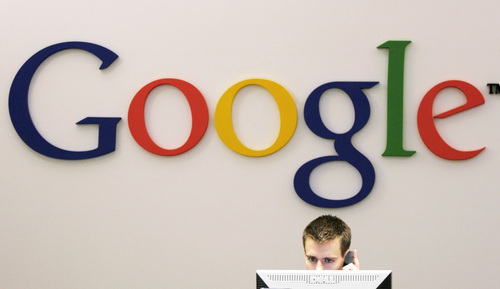 The total was still less than 9 percent of Google&apos;s total 2013 revenues of $55.55 billion, excluding Motorola Mobility.